To the east of San Salvador lies the crater lake of Ilopango. This large lake fills the crater formed in the 5th century when Ilopango erupted in a cataclysmic event that wiped out Mayan populations and deposited deep ash over much of El Salvador. A local scuba diving business, Pacific Paradise Divers, recently released this high definition video of what lies below the surface of the volcanic lake. The video reveals hot water vents and the aquatic life around them. The vents are a reminder of the volcanic origins of this beautiful lake. In coming weeks, legislators will be considering whether to extend the "extraordinary measures" currently in place to combat gang violence, and which human rights groups have decried for creating cruel, dehumanizing and deadly conditions in El Salvador's overcrowded prisons. Source: Pew Research CenterNumber of Salvadorans granted permanent residence in US (green cards) between October 1, 2016 and June 30, 2017: 18,800. 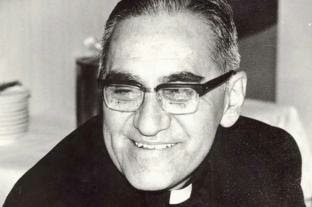 Today is the 38th anniversary of the martyrdom of archbishop Oscar Romero, slain by a sharpshooter's bullet while saying mass. 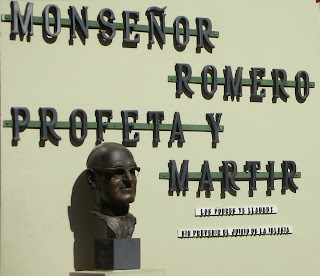 Thirty-eight years later, the Roman Catholic church will officially canonize Romero as a saint. The sniper's bullet failed to silence the message of this prophet and martyr who was a "voice for the voiceless." A very high tech solution may be coming to help ease some of El Salvador's shortage of decent housing for its poor families. 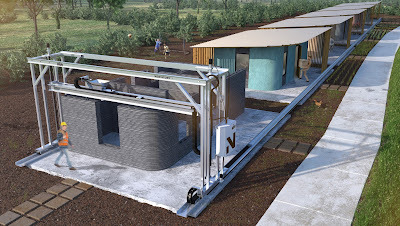 Inexpensive houses rapidly built using a 3D printer may be coming to El Salvador as soon as this year. El Salvador may be the first country to have a community of 3D-printed homes. A nonprofit called New Story is raising $1 million to bring more than 100 3D-printed homes to the country over the next two years. The organization funds homes for families in need and people displaced by natural disasters. No final results in Salvadoran legislative elections. El Salvador's Supreme Electoral Tribunal ("TSE" for its initials in Spanish) is asking the country for patience as it tries to finalize election results for deputies in the National Assembly. 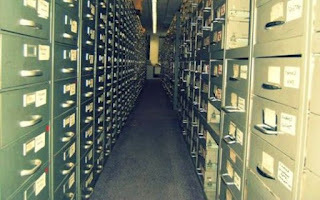 The TSE is indicating that final results may not be available until after the Holy Week vacations which start in two days. The results to date of the "escrutinio final" or final vote count are available on the TSE's web site here. All of the results for municipal elections throughout the country are finalized, but the legislative results still need final outcomes from the department of San Vicente where three seats are at stake. In its press conference today, the TSE indicated that pending legal actions were preventing the conclusion of counting in San Vicente. In early 1982, El Salvador was a dangerous place for journalists covering the civil war between FMLN guerrillas and the country's armed forces. Despite the danger, four Dutch journalists,Koos Koster, Jan Kuiper, Joop Willemse and Hans ter Laag, ventured out to the Department of Chalatenango to get an interview with guerrilla fighters. 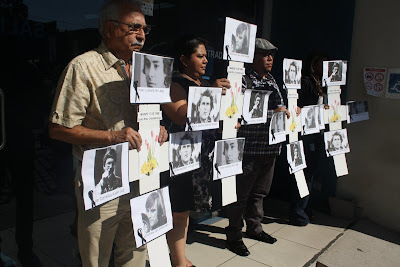 The Salvadoran army ambushed their group and killed all the journalists. The 36th anniversary of the killings is this week. At a garment factory that makes T-shirts bearing the logos of American universities, about a fifth of the workers at high-school dropouts. But if they want to keep their jobs, they'll need to do something about it. Special correspondent Fred De Sam Lazaro reports from El Salvador on the factory turned college pipeline that employs those normally left out of society, including ex-gang members. Watch the report or read the transcript here. For a second time, the Constitutional Chamber of El Salvador's Supreme Court of Justice has ruled that security forces must deliver up what they know about young men who disappeared at the hands of the military. The case comes from the Salvadoran town of San Martin, where repressive military tactics were being used to combat gang violence. The Defense Ministry, the Armed Forces and the Attorney General of the Republic (FGR) must investigate the forced disappearance of two teenage boys according to the ruling last week by the Constitutional Chamber. 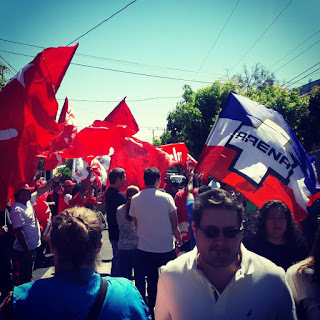 Discussions about politics in El Salvador in the week after the March 4 elections tended to turn to two main themes -- how could the FMLN lose so badly? and what about Nayib Bukele, the man not on any ballots and without a party on any of the ballots? According to opinion polls, Bukele is easily the most popular politician in the country and trounces other potential presidential candidates in the 2019 elections. After being expelled from the FMLN and removed as its candidate for mayor of San Salvador, Bukele announced his presidential ambitions. He also led a campaign encouraging voters in the March 4 legislative and mayoral elections to nullify their vote or simply "stay home and watch television." Thirty thousand lawyers will be able to cast ballots for 22 candidates. Bios of the candidates are available here. This election will reduce to 15, the number of potential candidates for the Supreme Judicial Court. In addition to those 15 candidates, 15 more candidates are chosen by the National Council of the Judiciary. This total list of 30 candidates represents the body from which El Salvador's legislative National Assembly should pick new magistrates to the court. There are many aspects of El Salvador's elections last Sunday worth pondering. Some of those aspects are noted below, reflecting comments from a team of election observers I led, as well as analysis of news reports and official announcements. Note: the results from the most recent election are preliminary, and there may be movements of a deputy or two. El Salvador conducted elections for its National Assembly and all mayor's offices on Sunday. With El Salvador's overly complex system for electing the legislature, only about 60% of the vote has been counted as of Monday morning. But the results seem clear that voters dealt the FMLN a major defeat. The primary beneficiary of the voters' rejection of the left wing party was the conservative ARENA party. At this point on Monday morning, it is too early to tell how many deputies ARENA won in the National Assembly and who they will be. It seems unlikely that they will have a majority, but they will pick up seats beyond their current 35 seats in the 84 members National Assembly.